Let me preface today’s recipe by saying that I feel like I haven’t been doing a very good job as a blogger. Right now, I’m supposed to be posting endless recipes for hot cocoa, cranberry orange bread, and cut-out cookies; instead, we’ve spent the last two weeks sipping coffee (and homemade coffee creamer) and cleaning toilets. And today, we’re going to discuss diaper rash cream. My timing may be way off (hello, December 8th), but even toilets and diaper problems need attention in December, right?! PS: I’m so excited to share my recipe for homemade sugar cookies later this week. Cookies and diapers….what a week! Piper, my five year-old, was an easy child to toilet “train.” I never “trained” him to use the potty. Shortly after his third birthday, Piper decided that diapers weren’t really the best place to, well, you know. The moment he discovered the big toilet, he never looked back. Fast forward two and a half years. Londyn, my second born, turned three over the summer. I’ve patiently waited each day since her third birthday, hoping the “potty switch” will magically turn on in her little body. In the months since her third birthday, she’s received a lot of encouragement via stickers and organic candies, high-fives, and lots of stories and potty talk. Those two experiences sum up my potty training experience so far in this season of parenting little ones. I’ve decided that children truly are unique (something I’ve always said, but now I’m living my words), and what works with one child is probably totally different with the next child, and that’s okay! 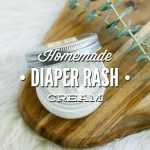 All of that to say, I didn’t expect to need a diaper rash cream this year, and since I didn’t think I would have a kiddo to test the cream on, I dismissed the idea of sharing a recipe on Live Simply. Chamomile: Yep, this is the same stuff I drink at night before reading my favorite book. Chamomile contains flavonoids which help to protect the skin. The soothing herb is sometimes used to help conditions such as: rashes and acne. Coconut Oil: Coconut oil is gentle on the skin. 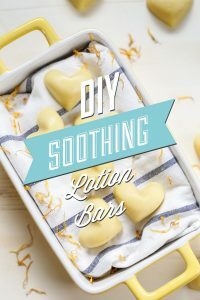 The coconut oil in this recipe is added to provide both moisturizing qualities and anti-fungal properties. I recommend sourcing a trusted coconut oil (like Nutiva) for both cooking and skin-care. 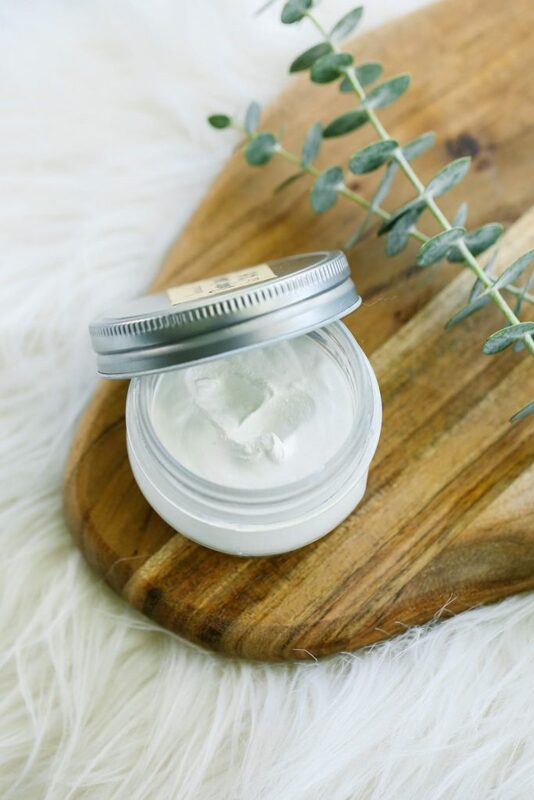 Shea Butter: Shea butter is an amazing moisturizer thanks to its naturally-occurring fatty acids and vitamins (E, C, and A). 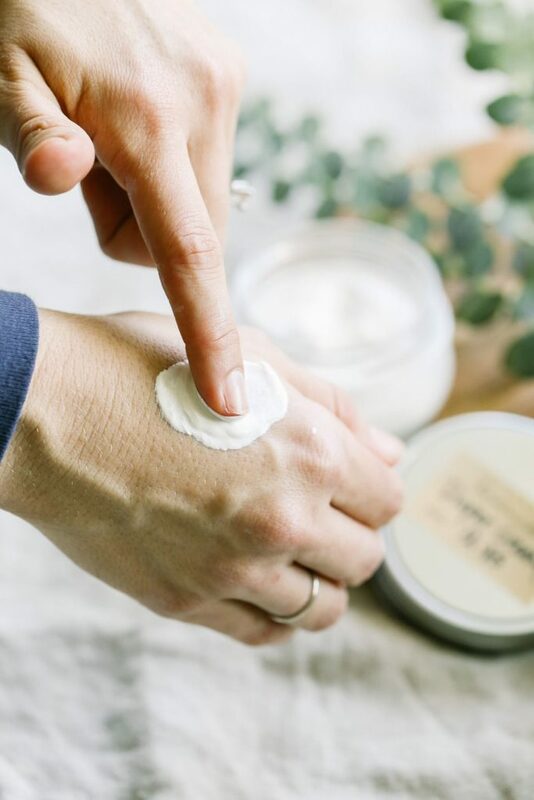 Non-Nano Zinc Oxide: Zinc, a mineral, adds a protective barrier to this cream (you’ll notice when you make this recipe that you’ll need to wash your pot well to remove the cream). Zinc is commonly used to treat chapped lips, minor itching, and rashes. It’s important to use non-nano zinc oxide in this recipe! Non-nano zinc oxide will not absorb into the bloodstream. 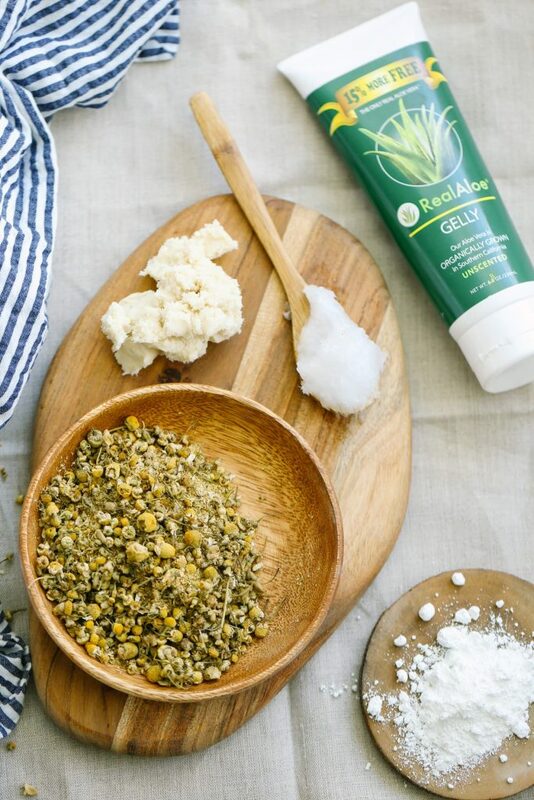 Aloe Vera Gel: Aloe vera provides soothing and moisturizing relief. Lavender Essential Oil: This essential oil may help soothe and calm the skin. This ingredient is optional in this recipe, since chamomile is also added. These ingredients may seem like an investment if this is your first do-it-yourself project. 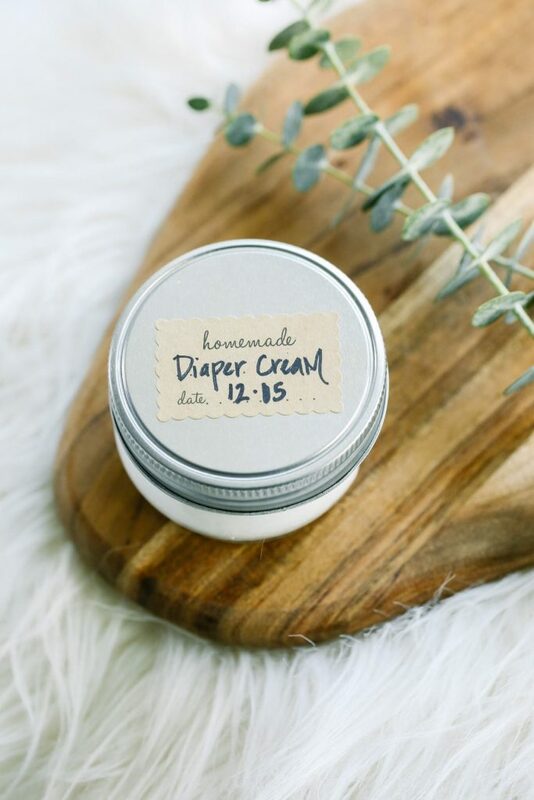 The good news is that the ingredients used to make this diaper rash cream can be used to make multiple other homemade products: hand sanitizer/facial cleanser (aloe vera gel), sunscreen (zinc oxide), lotion bars/lotion/lip balm/shower gel/deodorant (shea butter), a cup of tea/facial astringent or toner (chamomile), cooking/moisturizer/deodorant (coconut oil). Now that we’ve conquered toilet issues, let’s move on to some Christmas goodies next time we meet! 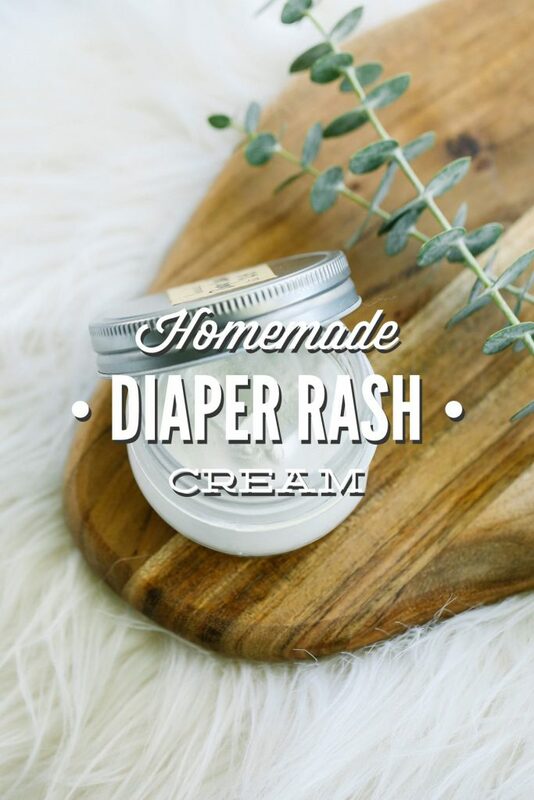 Diaper rash cream that works! 2 TB dried chamomile Found in bulk spice sections at health food stores or you can use 1-2 pure chamomile tea bags. In a double boiler, melt the coconut oil. If you don't have a double boiler, you can use a large glass or metal bowl set over a pot of boiling water. Once melted, add the chamomile flowers. Place a lid over the top of the double boiler. 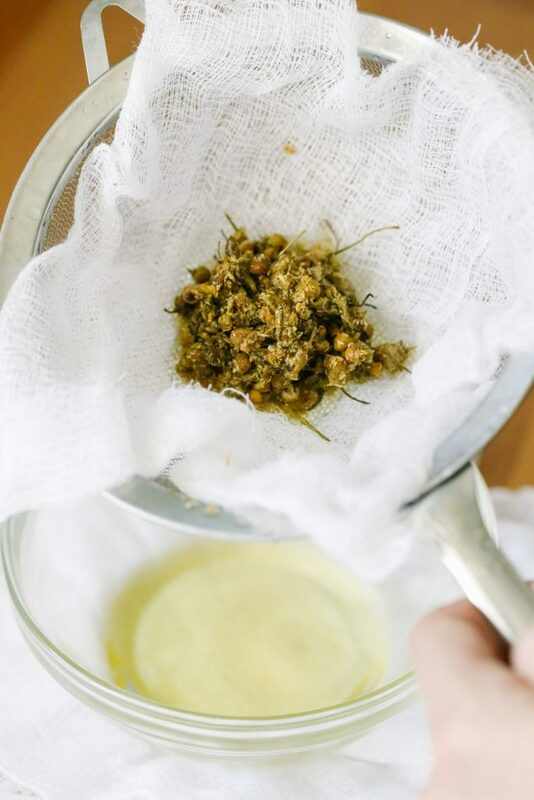 Over medium heat, infuse the chamomile in the oil for 30 minutes. 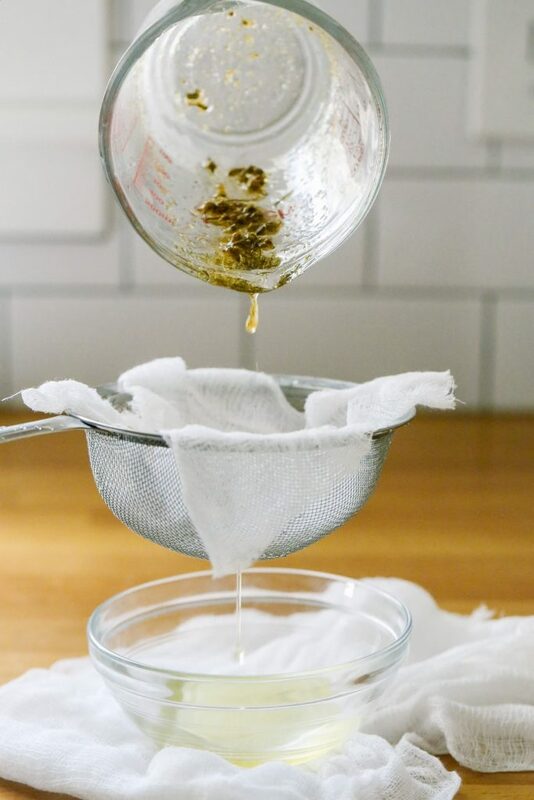 Separate the chamomile from the oil by straining the oil through a fine mesh sieve and a light-weight towel or cheesecloth (to catch any little herb pieces). Discard the chamomile (or compost in a garden). Wipe the double boiler to remove any leftover herbs. Then return the oil to the double boiler. Bring the heat back to medium-high (enough to get the water underneath boiling). Add the shea butter to the infused oil, and stir until melted. 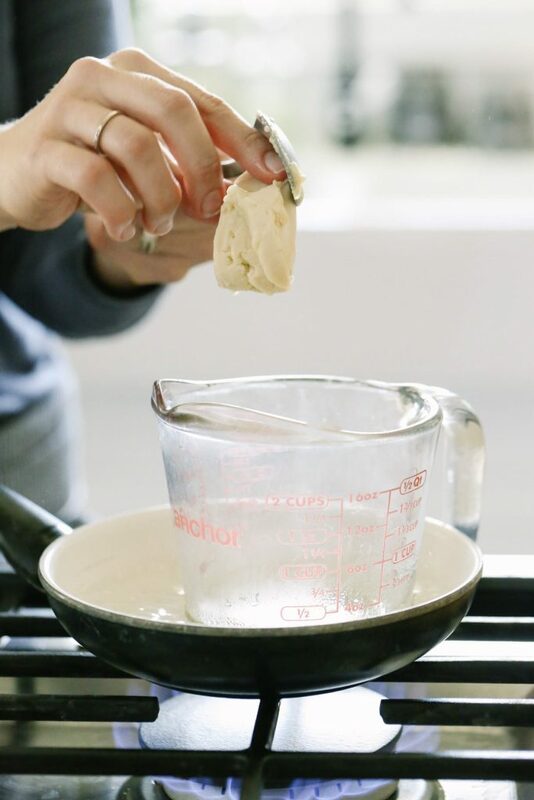 Once melted, remove the double boiler from the heat and stir the zinc into the oil and shea butter mixture. Once combined, stir in the aloe vera gel and lavender essential oil (if using). 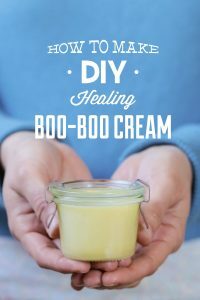 Pour the cream into a jar with an air-tight container. Store at room temperature, if your aloe doesn't require refrigeration. To Use: Apply the cream, as needed, to a mild rash. Always spot test first before applying any cream (whether store-bought or homemade). Don't apply this cream to broken skin. For more information on preventing diaper rashes, check out Dr. Sears' article. This cream is not a substitute for medical advice. The “where to buy” links provide links to the actual products I use. As always, I recommend shopping around online and at local stores for the best prices and products you love. My mom recently returned from a tropical vacation. 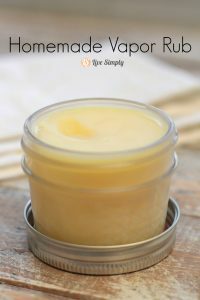 She used this diaper rash cream on her lips and found it very soothing. Hey! Does the diaper cream need to be refrigerated? What’s the shelf life on it? And do the ingredients have a certain shelf life…i.e. does the zinc oxide powder or shea butter ever go bad? Thanks! Hey Noel, This should last about 3 months at room temperature. It doesn’t need to be stored in the fridge, but you certainly could to be extra cautious. Thanks for sharing this recipe. During the winter my little one seems more prone to nappy rash and this has been working nicely since I made it last week. However, it keeps setting really hard over night in the cold, but by the end of the day it softens and spreads nicely. I wonder what it will be like in the summer…? Hey Stacey, I’m so glad it’s been working for you. Yes, DIYs like this tend to harden and soften as the outside environment changes. It will probably soften quite a bit in the summer, but it shouldn’t melt. What is the percentage of zinc oxide in this recipe? Thank you for sharing btw, can’t wait to check out your other recipes!